after seeing these photo's you will know why i wanted to throw in another feature today! 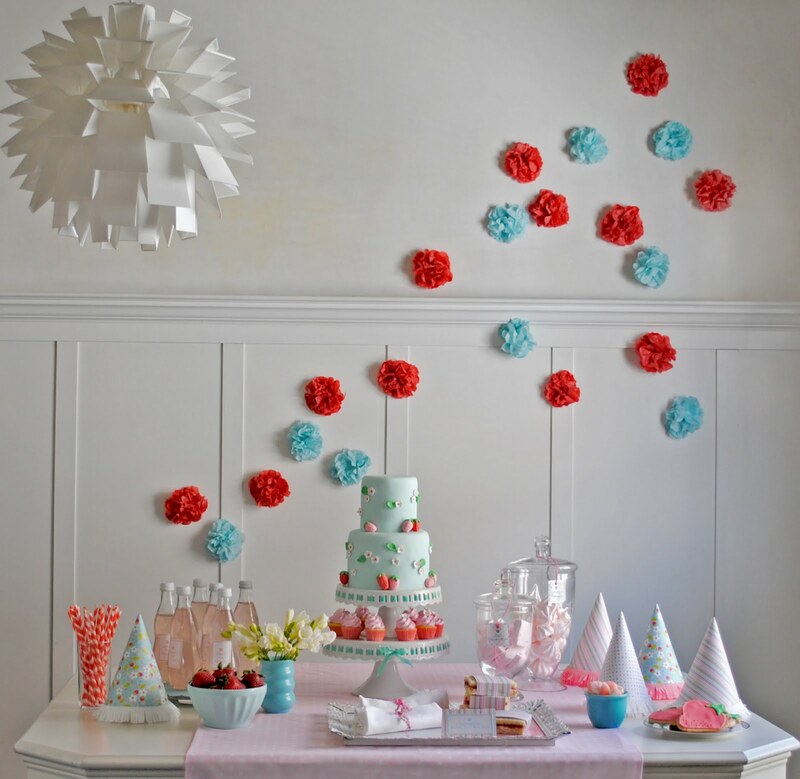 this sweet party is ADORABLE. i love the poms stuck to the wall..
and look at the adorable sandwiches. and the cake...wow, the cake...it's to die for. Wow! I love the details in this one. The wall decorations are so cute. Thanks so much for sharing, I'll be linking. Kisses and thank you for always sharing these wonders! LOVE the simple theme! The wall deco is AWE-SUMMMMM! So creative! 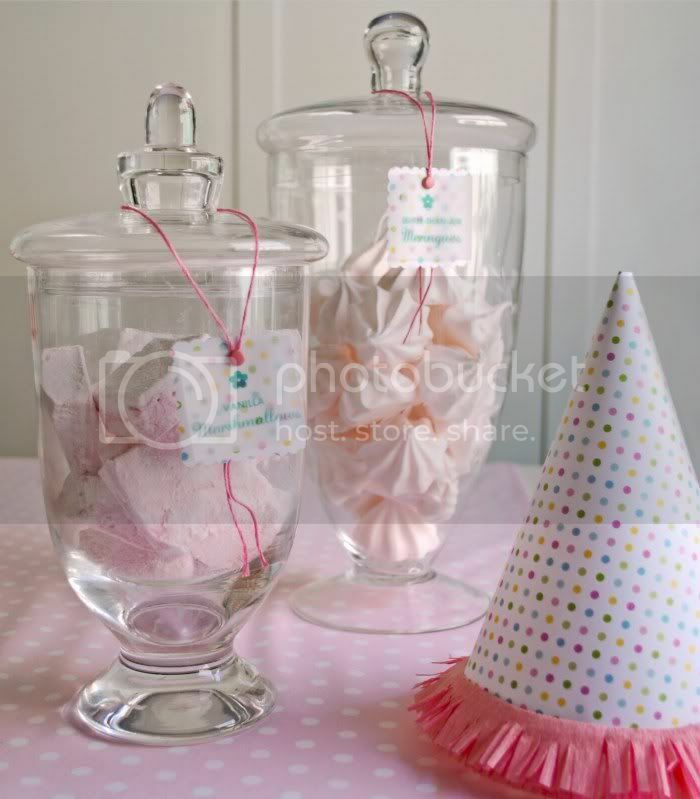 Different idea for a party and I lurve it. Wow! Now that is an amazing party! I love all the details and that cake is adorable!!! Gorgeous party! So girly and has a great vintage feel to me. 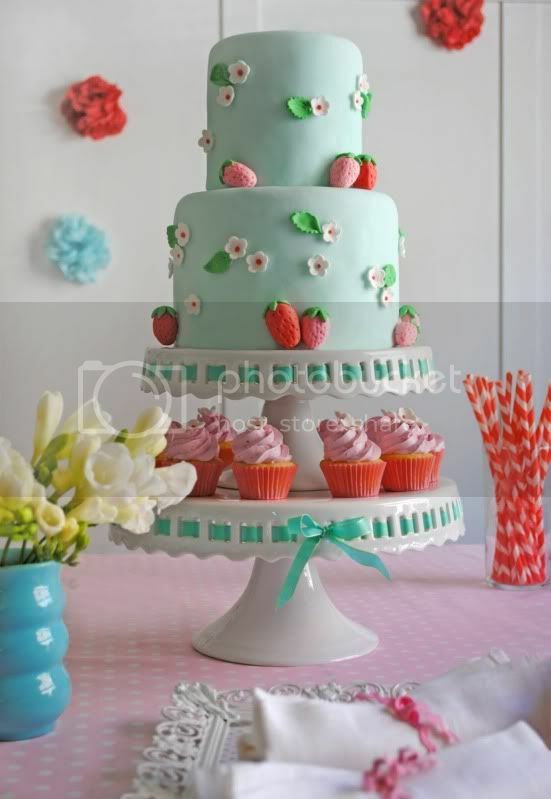 Love the colors and that cake! Thank you for sharing. 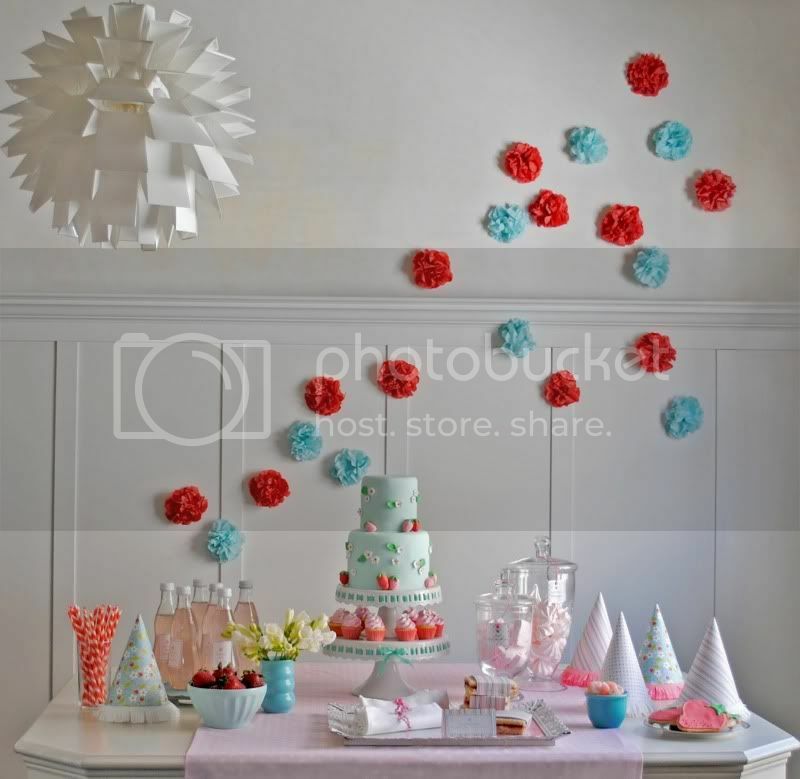 Shows how a relatively simple idea, such as "strawberry" can inspire a beautiful environment. Adorable party! 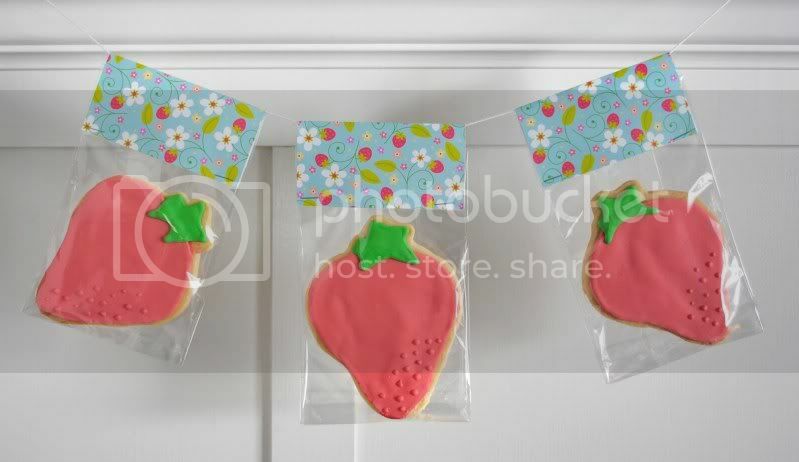 Love the strawberry theme! I search the keyword just read in your photos its very nice. Cheap Digital Cameras, Computer Peripherals and Accessories. the best cheap digital camera available any where. I love the theme of this party. It really fits the likes of children. 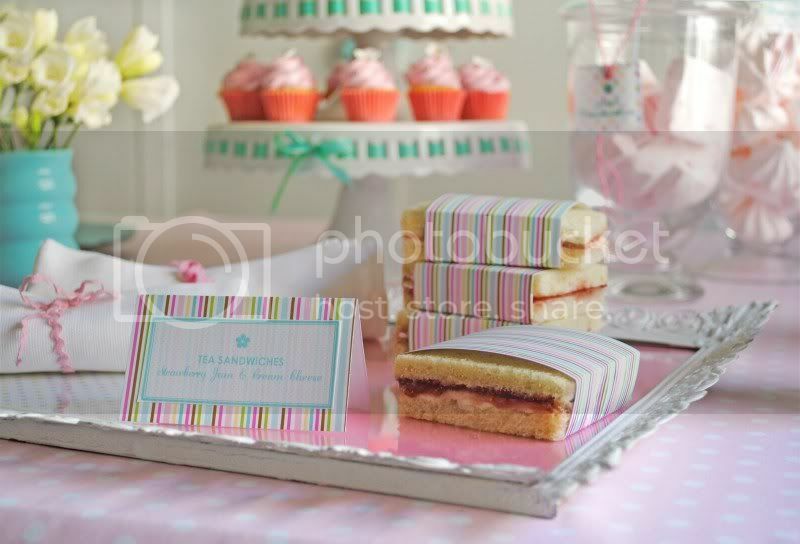 The color motif that had been used in the cakes, candies, and decorations all highlight the theme. I'm sure, Kara's visitors and friends enjoyed this party very much. This party event is a good example of creative theme parties. For those who are planning to manage a big anniversary, proms, or some other celebratory events, you should always consider the number of visitors that you will invite so you can choose a good event space (Denver). The theme should be creative, and with enough space, it would be memorable to high school students. I am a new follower! 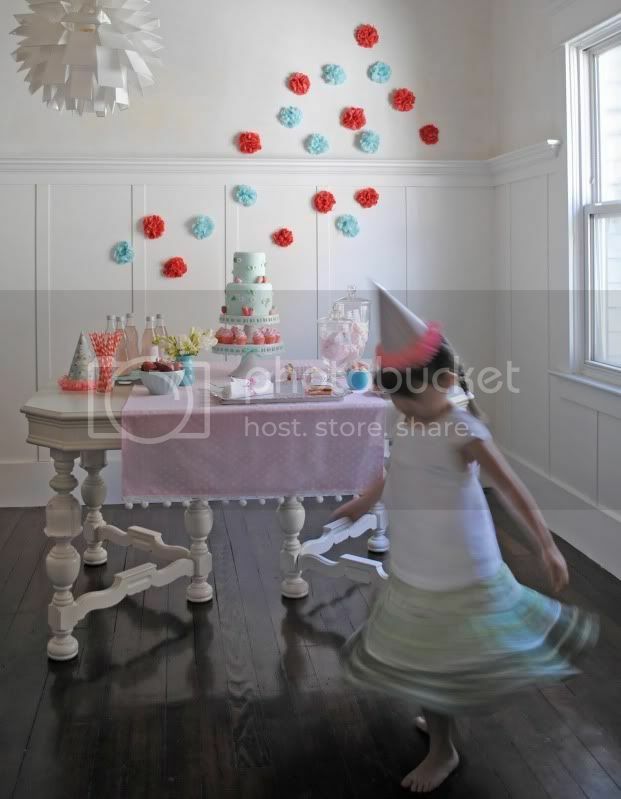 I love all of these party ideas...can hardly wait for my daughter's 4th B-day to throw a party!